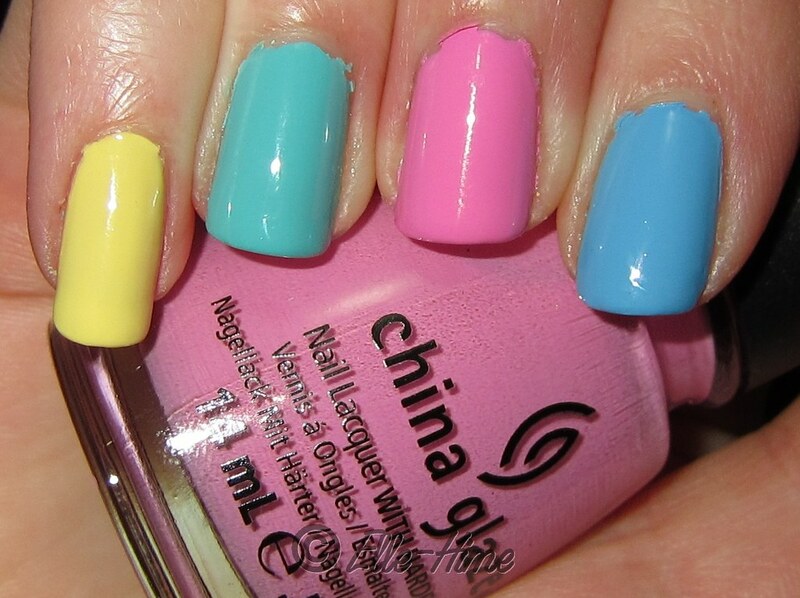 The colors I used are China Glaze Lemon Fizz, Aquadelic, Dance Baby, and Bahamian Escape. 2 coats of each and they were all a dream to use. I'm so glad I got Aquadelic! Yes, it is super-similar to For Audrey, but it is more green and doesn't have the dusty quality that For Audrey does. They are both lovely colors, I know I'll use both. Did you get any of the new Electropop colors yet? Hello! My name is Rochelle, and as the creator of Princessly Polished, your feedback means the world! Leave a comment or send me an email. Thanks for reading... stay polished! I just love the electro pop collection, all the cremes are amazing. I regret ony getting 2! you mani looks really fun! They're all such cute colors! I need a color like Dance Baby! property and still lower your expenses. West Bromwich's Paul Robinson signs loan deal for Bolton cash till payday loans depending upon your fiscal needs, you can also apply such loan at at any time. of the kind of bad credit loan. Generally once you build your first application you'll be able to borrow any amount approximately 300, based on your take home pay montel williams payday loans our very friendly application will assist you in obtaining finance in a handful of hours and for that reason might be used for any purpose. PLEASE NOTE - I use Disqus as my commenting system. If you are seeing this comment box you are probably viewing my site for mobile, which does not support Disqus. Comments will still be synced with Disqus and seen by everyone, though! Use the full site for a better commenting experience. Comments that are derogatory, contain profanity, or are spam will be deleted. China Glaze Sweet Hook - and sweets! My First Overall Beauty Haul! Don't You Wish you could Pull Me Close? NotD: Layering Glitter over Flakies! Picturesday Feb 16th Theme "Anything Goes!" This work by Rochelle / Elle-Hime is licensed under a Creative Commons Attribution-NonCommercial-NoDerivs 3.0 Unported License. Permissions beyond the scope of this license may be available at http://www.PrincesslyPolished.com/p/copyright-policy.html. Don't steal my content! It's not cool.